We at Jayati Creative designed Matrimonial website template for our client. You can see the demo of it from below link. All Blogger templates designed by us are SEO optimized. For example, for the above mention website you can search in Google with keywords like – Matrimonial website in East Godavari , Matrimonial website in West Godavari , Matrimonial website in Godavari districts. This website comes in Page#1. So those can not afford to invest more money in websites for their businesses, we can design them an unique teplate on blogger. 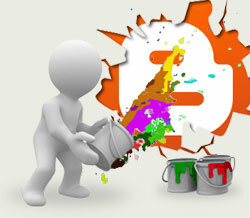 There are many advantages of designing website in Blogger platform can be read from here. Search Engine Optimization simply called with a famous name SEO. After website design this is required for every website to get ranking in search engines (SERP). Jayati Creative a Rajahmundry based freelance website design service offers online SEO training in Telugu language. The first batch of this program will start on 1st Jan 2016. For course details and program schedule reach us through contact form. Jayati Creative is a professional Web Design Company in Andhra Pradesh. includes Free Website Hosting also. Our Services in Visakhapatnam shown below. Web Hosting in Visakhapatnam: Jayati Creative is Cheapest Web Hosting Company in Visakhapatnam, India. cheapest price, affordable , and reliable web hosting. Jayati Creative based at Rajahmundry, Andhra Pradesh, India offers the best price Web Designing in Vijayawada, E-commerce Web designing in Vijayawada, WordPress blogging in Vijayawada, Blogger web designing in Vijayawada. We also offer 100% free SEO services to our clients. The package includes Free Website Hosting also. Our Services in Vijayawada shown below. Web Hosting in Vijayawada: Jayati Creative is Cheapest Web Hosting Company in Vijayawada, India. We are particularly adept and focused on providing reliable, affordable web based solution at an affordable cost without compromising the quality and efficiency. For any purpose We have complete range offer solution for there business , product , brand for there website, like Domain name registration, Web Hosting, Premium web hosting, for business web hosting., For years Jayati Creative has been providing superior web hosting and design dynamic database driven solutions for clients from India and abroad. By client demands Jayati Creative has now brought that same prime quality and support to its web hosting endeavour. We offer Cheap and best price for web hosting in Vijayawada and All India Market with out compressing the quality. We believe that Our customer is over business. We always try to introduce cheapest price, affordable , and reliable web hosting. Jayati Creative, a Rajahmundry based web design service provider does Telugu language websites also. [dropcap]K[/dropcap]akinada is Head Quarter of East Godavari District. Jayati Creative is a professional Web Design Company based at Rajahmundry providing services in Kakinada also. Jayati Creative offers the best price Web Designing in Kakinada, E-commerce Web designing in Kakinada, WordPress blogging in Kakinada, Blogger web designing in Kakinada. We also offer 100% free SEO services to our clients. The package includes Free Website Hosting also. Our Services in Kakinada shown below. Web Hosting in Kakinada: Jayati Creative is Cheapest Web Hosting Company in Kakinada, India. 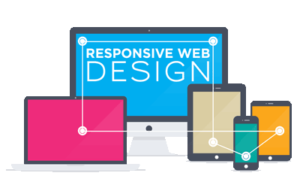 We are particularly adept and focused on providing reliable, affordable web based solution at an affordable cost without compromising the quality and efficiency. For any purpose We have complete range offer solution for there business , product , brand for there website, like Domain name registration, Web Hosting, Premium web hosting, for business web hosting., For years Jayati Creative has been providing superior web hosting and design dynamic database driven solutions for clients from India and abroad. By client demands Jayati Creative has now brought that same prime quality and support to its web hosting endeavour. We offer Cheap and best price for web hosting in Kakinada and All India Market with out compressing the quality. We believe that Our customer is over business. We always try to introduce cheapest price, affordable , and reliable web hosting.